Partially in Italy and partially in Switzerland, it is one of the most picturesque passes in the Alps. and took the tunnel on the way back. We left Freiburg and drove down to the Alps crossing Switzerland and into Italy, where we stayed half the time in Cogne and half the time in Courmayeur. On the way we passed the air ducts of the Grand S. Bernard tunnel below. 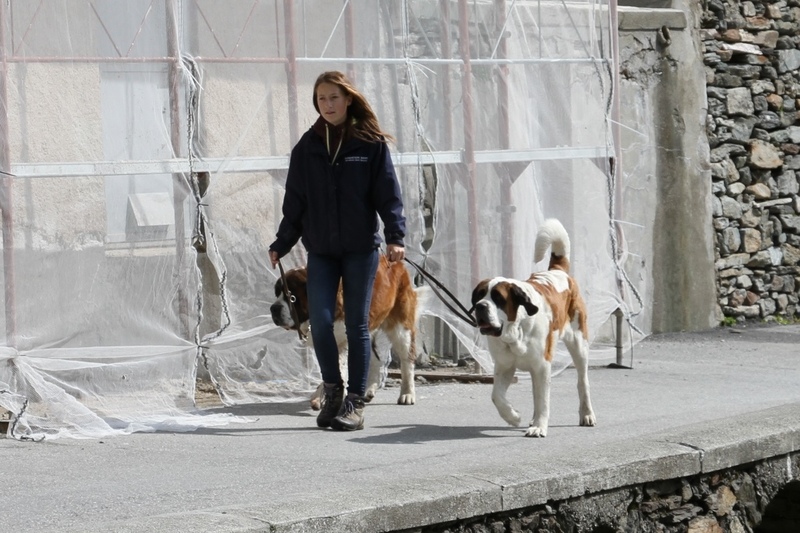 This summer our HQ was St. Vincent in Aosta valley. 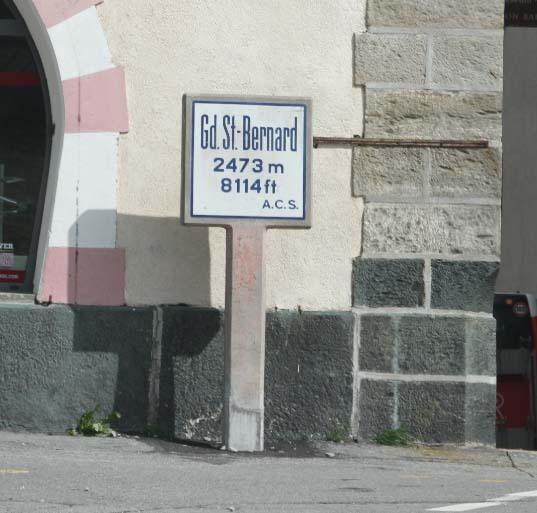 We drove up to Grand St. Bernard for hiking and crossing over to Switzerland several times. Here are some observations both from the Italian and the Swiss sides. 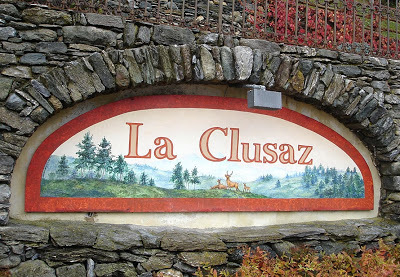 Driving up from the Italian side you first pass our favorite restaurant: Locanda La Clusaz. We had stopped and had lunch there several times in the past and this year being so close to our hotel we drove up a couple of times for dinner. The food is always divine and the atmosphere wonderful. A little further up you pass Etroubles. It is a tiny little medieval town with its own convent. We stopped here one day, on our way back to St. Vincent, for a very late lunch. Here is where we parked and the convent. 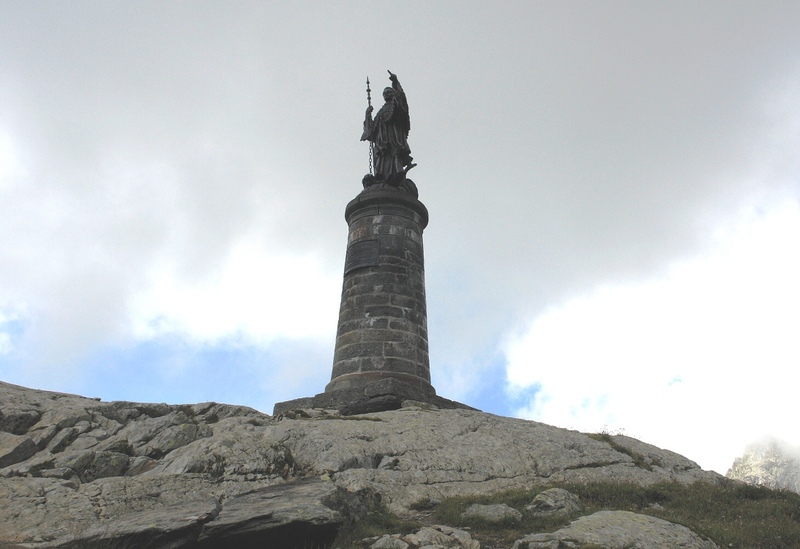 After a couple of 'Cantoniera's [rest stops for horse carriages and road maintenance facilities in the past], as seen below, you reach the part of the road that breaks away from the tunnel road and you start your climb towards the pass. We reached the peak, parked the car and hiked up a little above the road, took our obligatory selfie and continued down. Our main hike was down on the Italian side. About an hour later the weather turned and rain was about to start. So Stephan told me to hike down to the road and he hiked back up to get the car. On my way down I met my new BFF, the cow herder. Although an Italian he spoke enough French for us to have a chat for about 10 minutes. Then the drizzle turned into a rain storm and by the time Stephan picked me up I was drenched. Here is my new BFF. Another day, we drove up to cross over to Switzerland and go to Crans Montana for another hike. 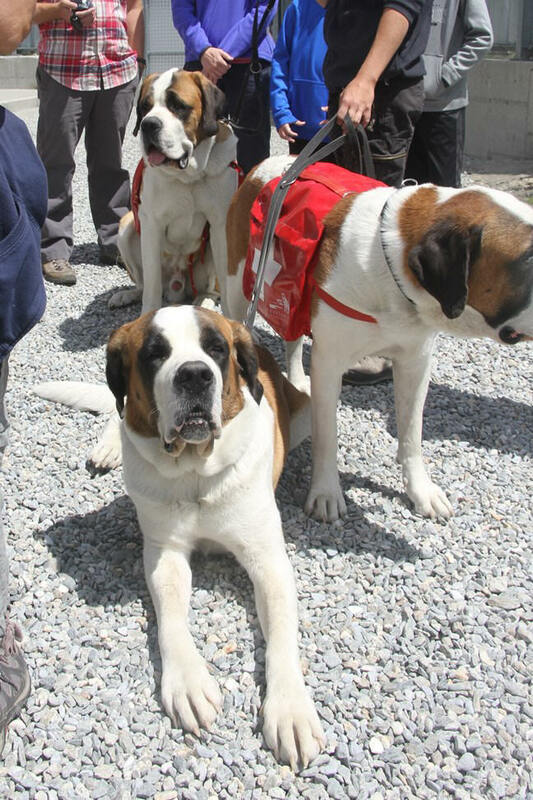 We had lunch at the Hospice du Grand S. Bernard, bought our tchatchkis and went down on the Swiss side. 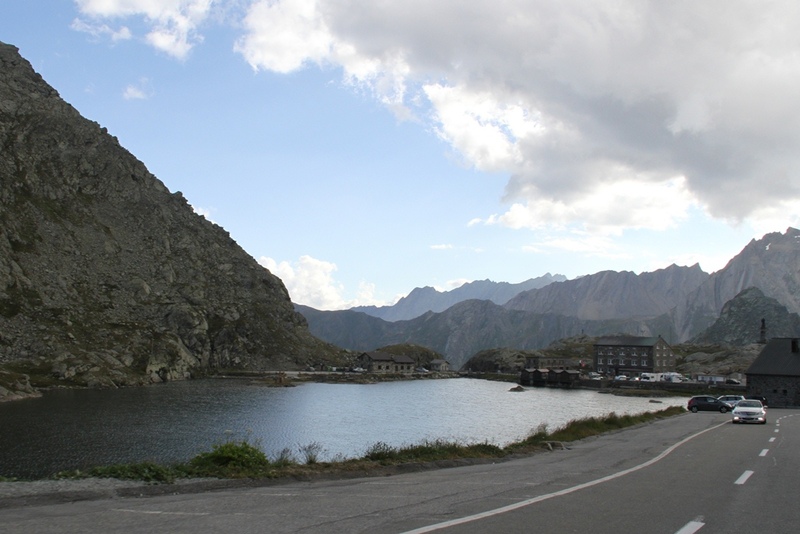 It is amazing how different the road conditions are on the Italian side and on the Swiss side of the pass. While the Italians have built a perfectly well maintained new road the Swiss are still back in the 1960's. 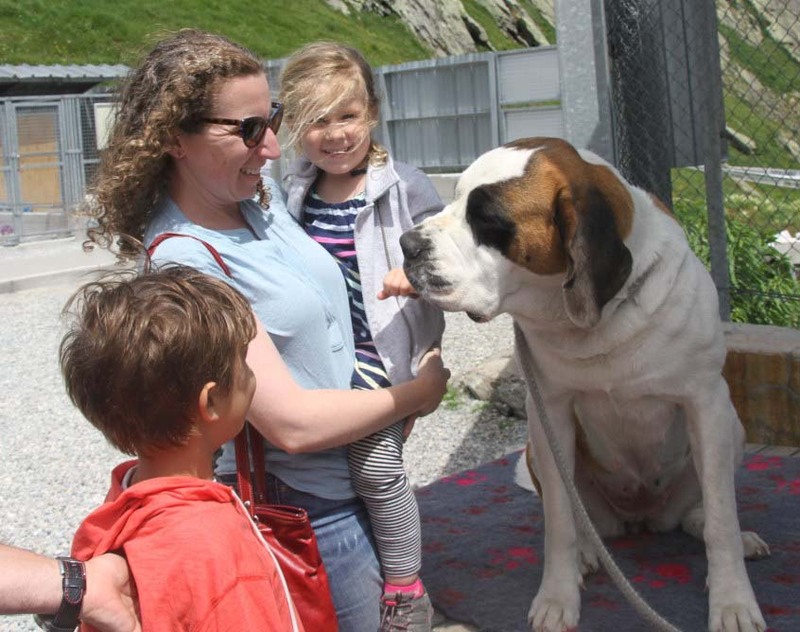 Here are pictures of the pass, the Hospice, the St Bernard puppies and the road down to Martigny. We thought we will go and see the puppies in the kennels? but... 10 CHF each? I don't think so. We'll do it one day with Lucine who adores her puppies and kitties. I wonder what the Swiss authorities expect? A bad guy stopping to fill out a form declaring 'I am bringing 4 AK-47's and 10 kilos of heroin into Switzerland' ??? And Arek had his first lecture about mountains.